This 3 day safari takes you to the most fantastic wildlife destinations in Tanzania, these include Tarangire national park, Lake Manyara national park, and Ngorogoro crater. This crater is found in the conservation area and Ngorogoro is a UNESCO world heritage site located 180km west of arusha in the crater highlands of Tanzania. The crater is the largest volcanic caldera within the area, it’s the world’s inactive, intact as well as unfilled volcanic caldera. This crater is 610 metres deep, and its floor covers 260 sq kms. The height of the original volcano also ranges from 4500 to 5800m and its 1800m above the sea level. The crater also harbours a lots of wildlife species including; elephants, hippos, lions, rhinos, zebras, common eland, Thomson gazelles, water bucks and many more. Tarangire national park is the 6th largest park in Tanzania after, Serengeti national park, Ruaha, Mikumi, Katavi as well as Mkomazi national park. 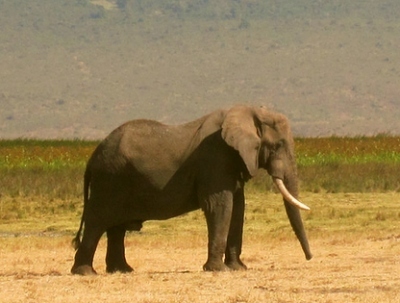 It’s located in manyara region and its name originates from Tarangire River. The park also lies in the south east of Lake Manyara and it covers an area of 2850 sq kms with diverse land scapes covered with baobabo trees, high grasses and the dense bush. It’s mainly famous for elephants, tree climbing lions, zebras, wildebeests, waterbucks, giraffes, olive baboons, 550 bird species including the yellow collared love birds. The national park is also famous for the termite mounds which are dotted all over the land scape. The park is also 240km and 4 hour drive from the city centre. Day 1: Transfer to Lake Manyara National park. Day 2: From Lake Manyara to Ngorongoro crater & transfer to Tarangire NP. 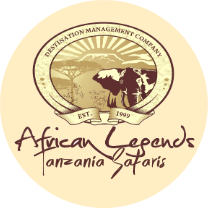 Meet with the company guide in Arusha town who will give you a briefing about the safari, there after travel to Lake Manyara national park and arrive in time for lunch. After lunch, proceed for a game drive within the park were you will view many animal species including the elephants, tree climbing lions, flamingos and many bird species. This park is one of the dramatically located park in Tanzania. Have breakfast and after descend 600m into the Ngorogoro crater for a morning and half day game drive. This crater is one of the most densely crowded wildlife areas in the whole world and is home to over 30000 Animal species including the black Rhinos, herds of Wildebeest, zebras, buffalos, eland, warthogs, leopards, lions, hyenas, jackals, cheetahs and many bird species. We will then enjoy a picnic lunch with in the crater and after proceed to Tarangire national park. Enjoy your breakfast at the lodge and after proceed to Tarangire national park for a morning game drive. This national park runs along the line of Tarangire River and is mainly consisting of low lying hills on the floor of the Great Rift Valley. Its vegetation also consists of acacia woodland and the giant African baobab trees as well as swamp areas in the extreme south. There are many wildlife species that can be found here and some include; elephants, greater kudu, the fringed eared oryx, and the ashy staring. You will after return to your lodge for lunch and after start your transfer back to Arusha town.